Expect 4-6 weeks for production of this piece. 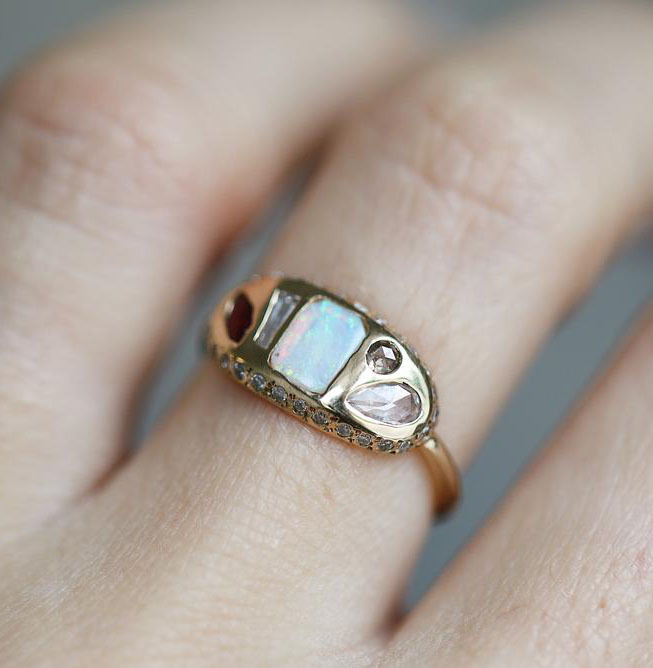 This ring cannot be exchanged and should not be sized due to the nature of the stone and settings. Contact us for a quote in 18k or platinum or to request a rush. 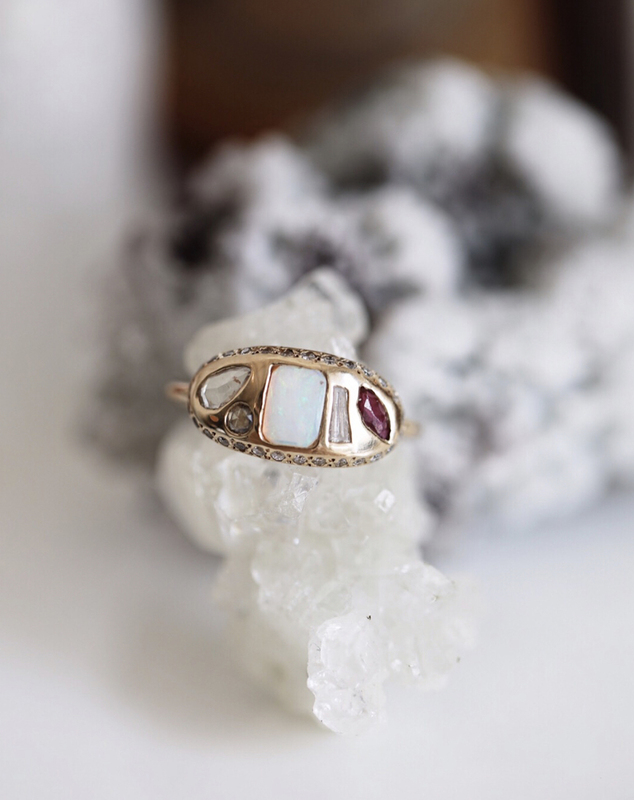 Features a rectangular opal, marquise ruby and pear-shaped, round rose-cut and tapered baguette diamonds accented with a white diamond halo.